Opel/Vauxhall CEO Nick Reilly said he doesn't expect to change a restructuring plan for the General Motors Co. unit significantly after the German government rejected a request for state aid toward a 3.7 billion euro revamp to make the carmaker profitable again. Reilly said Opel will continue to invest in new products, including a long-awaited minicar below the Corsa subcompact. "Some things may be delayed but not major products," Reilly told reporters on a conference call after Germany announced it had turned down GM's request for 1.1 billion euros in loan guarantees for Opel. "We are working hard on a small car in the mini segment. We still intend to do it, there will be no delay," he said, adding that the car will be developed in Germany and be sold alongside the Agila small minivan. Reilly said he would now discuss with parent GM possible funding options for the restructuring plan that will cut Opel's capacity and work force by a fifth. "I am confident our parent company will see us through," he said. Going forward, Opel expects to submit new applications for loan guarantees at a regional level with four state governments in Germany that Reilly believes would likely contribute between 25 percent and 50 percent of the 1.1 billion euros required. German Chancellor Angela Merkel is due to meet the premiers of Hesse, North-Rhine Westphalia, Thueringia and Rheinland-Palatinate, which all have Opel plants, on Thursday afternoon to discuss how Germany can still support Opel despite the government's rejection of state aid. Merkel said the "last word had not been spoken" over Opel and that she would "do everything" she could to ensure support to Opel's 25,000-strong German work force. Reilly said he believed the UK and Spain will still be willing to give Opel promised financial guarantees and that Poland had given "positive signals." Talks are being held with Austria's government, he said. All of those countries have plants that produce cars or parts for Opel and UK-based sister brand Vauxhall. 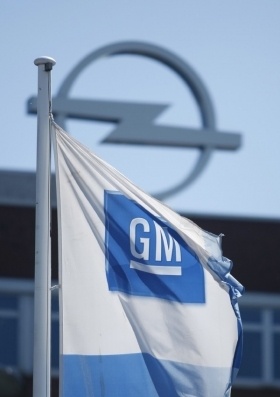 GM may now be forced to contribute more than the planned 1.9 billion euros of U.S. taxpayer funding to keep Opel afloat. Reilly said "in theory, it is possible" that GM could fund Opel's restructuring entirely, but that may reduce investments elsewhere. Reilly said that he did not anticipate running into any dramatic liquidity problems for the remainder of the year. He added that other state aid programs outside of the German rescue fund still existed as options, but conceded that if those were easier solutions, Opel would have already tapped the facilities. In rejecting Opel's bid for aid, German Economy Minister Rainer Bruederle said GM has about 10 billion euros in free liquidity after fully paying back credits from the U.S. and Canadian governments and he is convinced that GM can finance its European division's restructuring from its own resources.